Wyatt is a happy 9 month old baby boy. On Friday 12/5/14 his physical therapist noticed a lump on his abdomen. Within hours an appointment was made for his pediatrician. 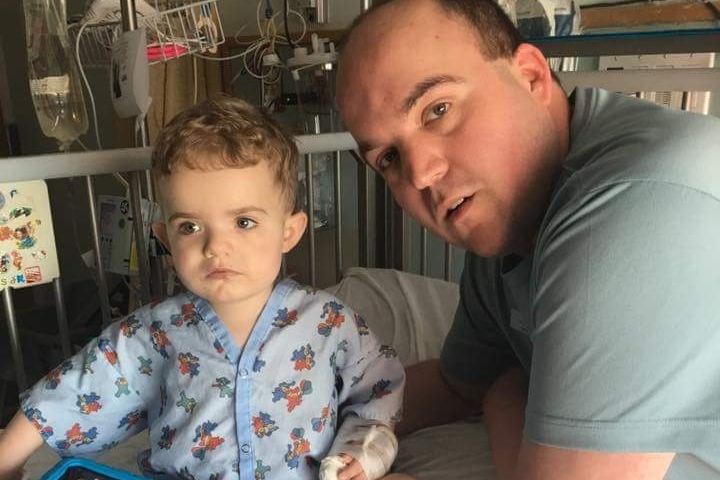 By the end of the day Wyatt, his mother and grandmother were at Hasbro Children's Hospital learning that he had a large mass in his liver. 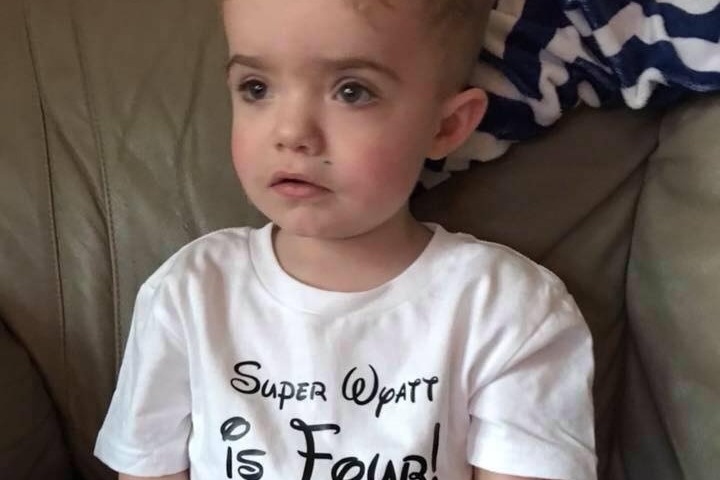 Wyatt was diagnosed with Stage III Hepatoblastoma. A liver cancer that only affects young children. It is uncommon and it occurs .9% in every 1 million children. Wyatt will be undergoing tests, multiple surgeries, and begin Chemotherapy next week in hopes to shrink the mass so it can be removed. All money raised will be used for Wyatt's needs and medical expenses during this difficult time. Thank you! We did not get the results we were hoping for. The sclerotherapy didn’t completely take so Wyatt is being scheduled for another procedure tomorrow. The P.A tried telling me this situation is RARE. When it comes to my boy, nothing is rare. He will be discharged after his procedure tomorrow to the Ronald McDonald house and followed up on in 3 days to see if it worked and to have the catheter removed so we can come home. We are so done with this. Please keep our Wyatt in your thoughts and prayers. It’s official. Wyatt will be having his sclerotherapy procedure on August 17th. This is where Interventonal Radiology with inject an ethanol solution into the bile ducts on the left side of his liver for 15 mins and it will destroy the lining of the ducts causing it to shut down and the dead tissue will shrink. The right side of liver should increase in size to compensate for the loss. My hope is that this will be the “end all” for his complications. 3 days later they will remove his catheter and we will be discharged to go home. Please send prayers and positive thoughts to our little boy that this all goes smoothly and with as little pain as possible for him. Wyatt is now in Pittsburgh but Not the news we wanted to hear. It is very likely that there was a narrowing in Wyatt’s biliary tract. Tomorrow he will go to IR and they will inject dye into them and see where it is. Once they’ve located it, he will receive another ptc drain so that his original site can heal. Right now that’s all the news I have. This is extremely upsetting. Please continue to pray, share and donate as we unsure what they will say tomorrow and how long Wyatt and mom will have to be there. I wanted to clarify some things about when Wyatt gets ill enough that he needs to go to PA.
We have been extremely fortunate to have Angel Flight NE on our side. Many, many times have they found volunteers to fly us into Pittsburgh when we needed them the most. 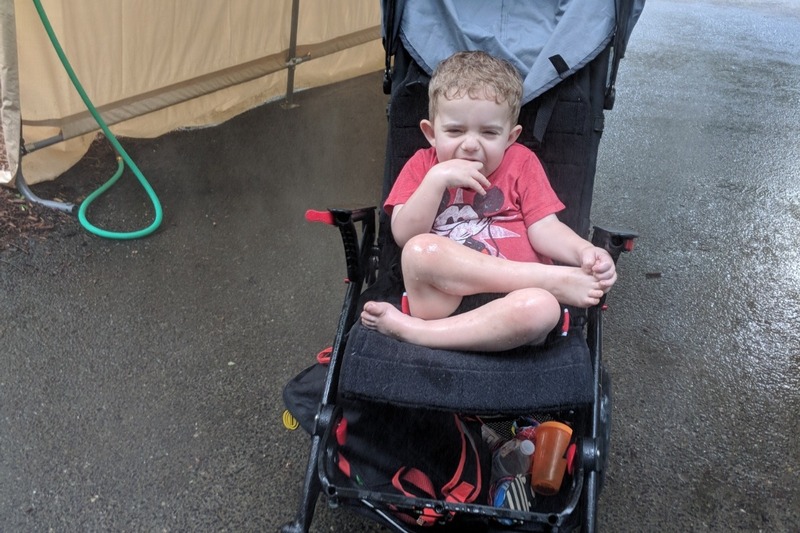 This time, it is with Wyatt’s best interest that we are waiting for our insurance to approve a medical flight with bed to bed transfer. Which leaves us in RI until all of it is approved. With that being said, I am unable to determine an exact date that we will leave. Once we get to PA he will have a hospital room and I choose to stay with him so that I can be close and advocate for him since he can not speak for himself, besides, who knows him better than me.. no one. The Ronald McDonald House is fantastic! We have used them time and time again. Our last visit wasn’t as fantastic as previous times. Due to lack of communication etc., it was difficult to check out during an extreme emergency that could have cost Wyatt his life. (I try not to think about that) Since then, I have done everything I possibly could to avoid using their services. There is a waiting list to get in there, so even if I submit an application it could be a week before a room is available. When this happens I have had to seek lodging elsewhere. Even with other non profits it has cost me at least $60 a night for a room, plus I needed to pay for a cab or rent a car to get to and from the hospital. With car seat/stroller and Wyatt. If I did get in to RMH I would have to stay in the room every night while Wyatt is in the hospital or I run the risk of losing the room and that’s just not going to happen. I stay where Wyatt stays. Thankfully these days I have an absolutely amazing friend who lives 30 mins from the hospital, Libby LOVE YOU! Who opens up her home to Wyatt and I when he’s discharged but has to stay in the area. I still need to purchase food and pay for a car to travel back and forth to the hospital for check ups and to get released back home. It has always been extremely difficult for me to ask for help. I hate doing it. I have been unable to hold a steady job since Wyatt was diagnosed in 2014. Between FMLA running out and my position given to someone else, to missing too many days of work because Wyatt gets hospitalized. To those of you who have helped us, I just want to say how grateful I am to you. This past month has really got me in a bad place. I’m trying my best to stay strong and be there for my son because that’s my job. I won’t be on fb much unless it is to update Wyatt’s page. 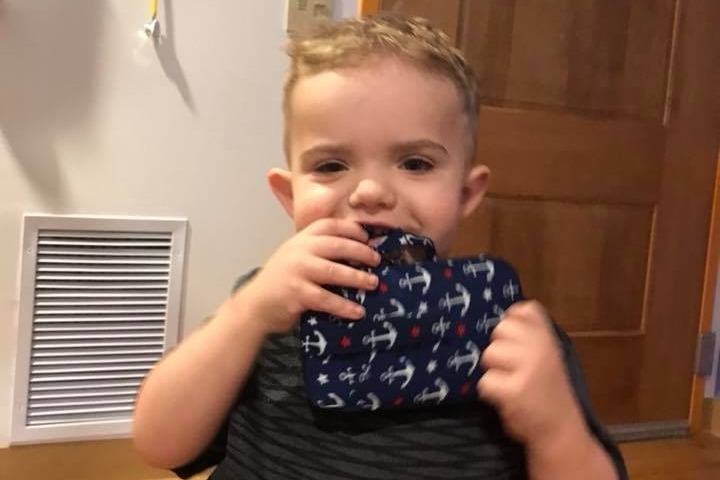 Should you have any questions or concerns please contact my mother, Anna Marino as my focus is on Wyatt and making sure these doctors do what is expected of them to help prevent this from recurring. Thanks! Sorry for the long post!